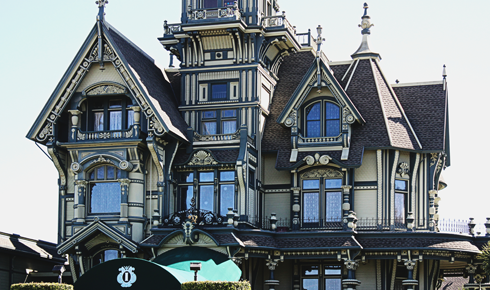 Completed in 1886, the Carson Mansion located in the historic Old Town of Eureka, California, is often considered "the grandest Victorian home in America". 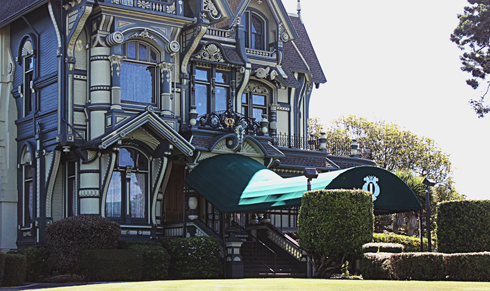 Since 1950 the Carson Mansion has been a private club, but it was originally the home of William Carson, a Northern California lumber baron who made his fortune from the nearby Redwoods. 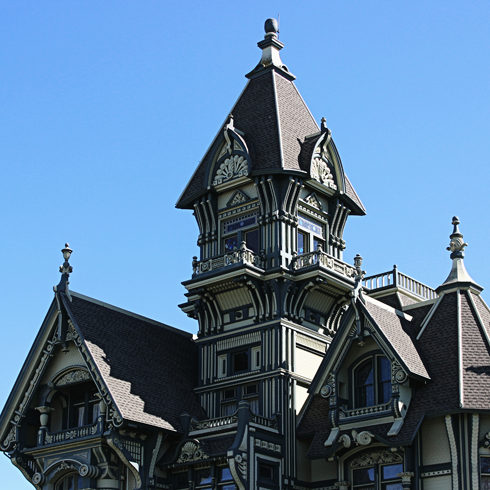 The structure blends every major style of Victorian architecture, primarily Queen Anne, and itself is constructed out of redwood. 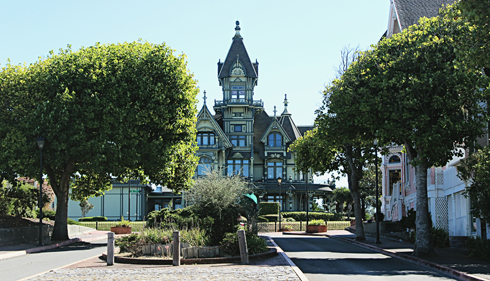 The property isn't open to the public, however just viewing it from the street is quite impressive. 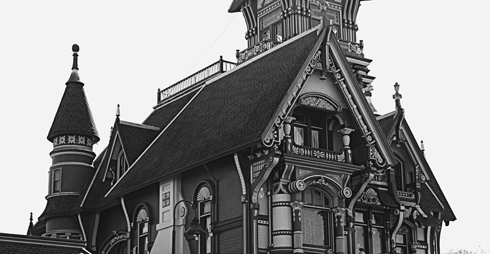 The level of detail and embellishment is incredible, and unlike other historic structures from the same period, this one still looks much the same as when it was built. 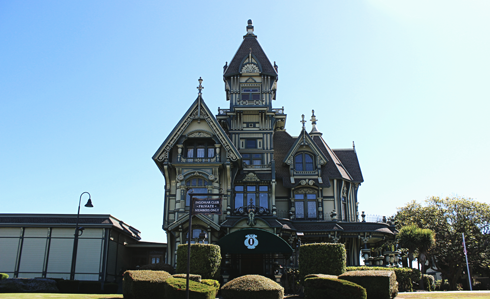 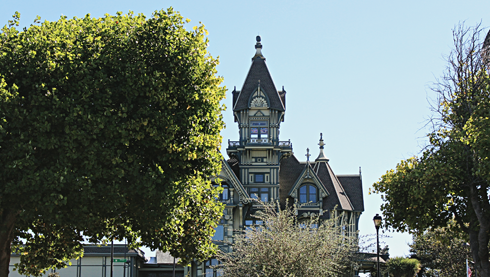 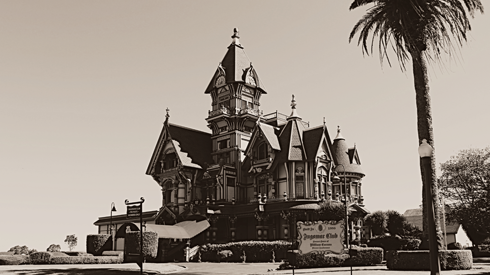 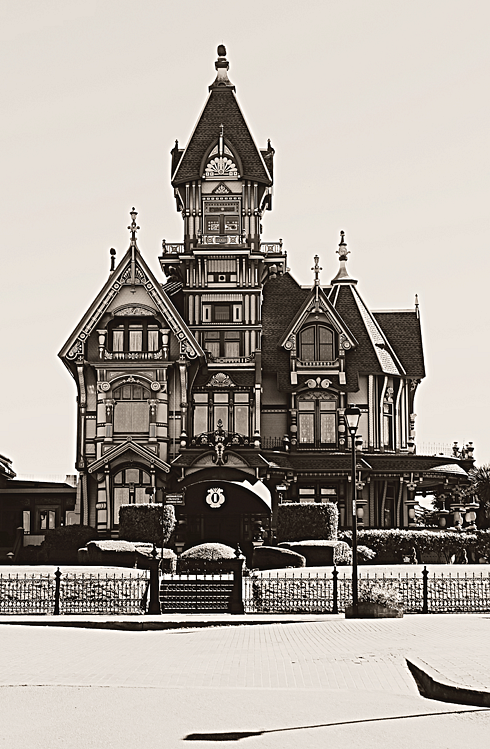 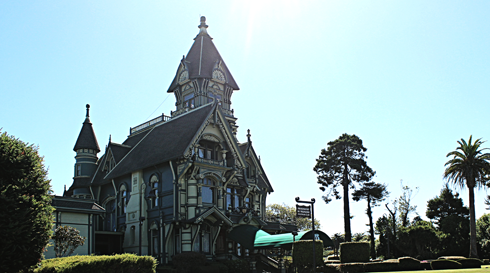 Eureka's Carson Mansion is like something straight out of a fairy tale.